Welcome to Darul-Uloom Al Madania, a private boarding school, providing an Islamic environment where young, growing minds come to learn. Darul-Uloom is not just a school; it is a community. Our students bring their unique qualities and join our community where you’ll find students, parents, our dedicated and experienced faculty and staff – all with shared beliefs – working together towards a common goal. 2. Hifz Course: An approximately three year program for the complete memorization of the Holy Qur’an, along with an accredited State of New York approved curriculum for secular studies from the fourth to the tenth grade. Upon completing the program, students will receive a “Hafiz Al-Qur’an” certificate. Time to complete memorization may vary from person to person. Secluar studies? Under Islam, Mosque and state are one. Is the State of New York, even paying attention? For those that do not know, Tafseer is the explanation of the Koran, the Hadith are the words and deeds of Mohammad, and Fiqh is the expansion of Sharia Law. Once again, these are not secular studies. Here are the courses for girls. Residence: Darul-Uloom Al-Madania Girls’ campus covers approximately one acre of land. The main residence building, Darul-Rasheed, houses more than 100 students. Every room is furnished with beds and a closet. 1. Regular Academic Education: For girls nine years and older, we offer in-house academic education up to tenth grade. This runs simultaneously with the ‘Alima course. They are even brainwashing children from kindergarten to the third grade. Let me give you just two examples from the ahadith. Lets take a look at the masjid (Mosque), and the dominating structure it is. I guess assimilating is out of the question. Come visit Masjid Zakariya, which was once a cathedral, and sit where children as young as 12 years old recited the entire Qur’an from heart in one sitting to their teachers. Experience the unexplainable feeling along with many others who leave their cities and homes in the month of Ramadan to perform I’tikaff and rejuvenate themselves here in this Masjid. Muslims take a real pleasure in turning houses of Christianity, into their houses of hate. For those that do not know,the Azaan is the call to prayers. For those Muslims that wish to take more advanced courses, here is what is available. Darul Ifta (Mufti program) is a two year advanced program of Fiqh (Islamic Law) open to those students who have already completed the Aalim program. Students in this program research and analyze, under the auspices of a certified Mufti, the traditions of Prophet Muhammad (saw), rulings of the companions, the Mujtahid Imams, and the accepted and rejected rulings of the Fuqaha. Studies include books of Fiqh, Usul-ul-Fiqh, Fatawa, Tafseer, and other sciences. Students practice researching and compiling answers with reference to the source books under the guidance of the Mufti who reviews all textual responses. 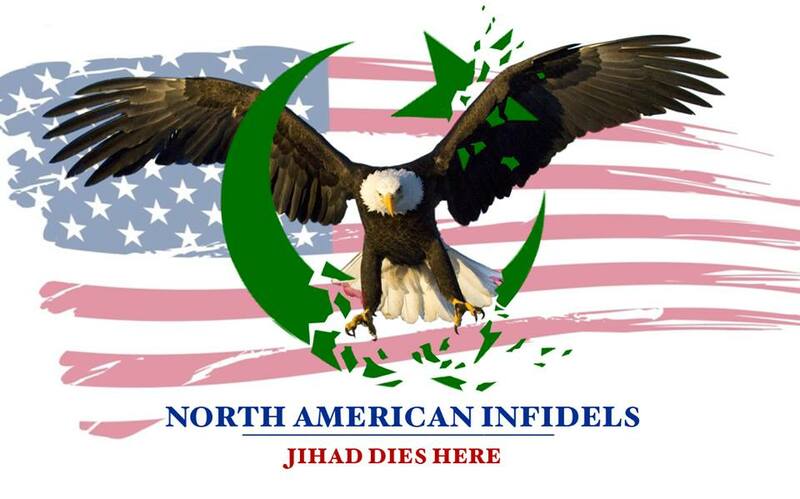 Did I happen to mention, there is a Sharia movement happening in America? Darul Uloom Al Madania’s curriculum has been recognized by the New York State Department of Education. The secondary school board of Darul Uloom Al Madania offers classes from pre-K to grade 10. The curriculum is structured in accordance to the guidelines and standards of the New York State Department of Education. Allowing this school to remain open, is the equivalent to allowing Nazi camps to remain open during WWII. You go, Logan. Sharia Law is unconstitutional. Banning it would render the harsh penalties of Islam impotent and, then, the Islamic communities would continue to be punished by the laws of the United States of they attempt any of their heinous crimes sanctified by Islam. You don’t have as many cool videos as my blog does. You are a fake and probably a fake muslum fighter. How does blogging fight them anyway my blog is better. Why don’t you grow up, grow and spine and come back and debate me, instead of always running away like you? He’s sounds like a twelve year old. Just had a butchers at iloveamerica1980 blog and I’m sorry to say Mr Logan he’s correct. You don’t have as many ‘cool videos’ on this site but then again you not trying to impress 13yr old schoolchildren with numerous pathetic examples of crap sh*te from youtube. My question is, why do you allow idiots to post? iloveamerica1980 is an idiot. I suppose it is one thing to assert freedom of speech, but in this context, to warn about the hideous dangers of Ismalm, it seems that only beneficial comments should be allowed. I have been using a fax service to warn my representatives about the dangers of Islam. I allow them to post, just to show how right we are. Chris…Great post!! …Now I ask everyone.. If Louisiana and Oklahoma can ban Shariah Law…how do we start the process in our states? I propose we start brainstorming on the process of initiating steps in our state legislatures. Can we contact Senators from OK and LA? Can we get some guidance from them? IF…the pundits are correct, when they say the law against Shariah is a mere formality, then it should be simple to get the law passed…right? Thanks, I think we need to start contacting our local reps, explain the threat to them. Then show them the bill by Tancredo. I read that they have students coming from all over North America. What did you two talk about? It’s not okay for muslims to just peacefully enjoy their religion – they’re supposed to TAKE IT ALL OVER. They’re not just taking over parts of the land (by buying up an old cathedral and spewing infectious hate messages) – they’re taking over what makes the land American. And we’re sitting here letting them do it – because some of us pride ourselves on tolerance and acceptance. Sure, it’s great to accept other people and be tolerant of their beliefs – that’s the American way. But we’re doing it at the cost of our own country’s foundation. Just a side note… I’m a freelance writer, and if you’d ever like me to compose press releases and put them out, I’ll be more than happy to do so free of charge. It’s the least I can do to help awaken Americans to the very real threat that our grandchildren may be forced to pray in a mosque or be killed. AJ, I am working to identify Is;am-biased textbooks adopted by school districts. If this is of concern to you, we could use your skills. Look for one sentence– Islam was spread by the sword. If this is missing, the text is corrupt. Wow! It is amazing how history repeats itself. There is a combination of things here that repeatedly show up in human history; fear and ignorance. This is the same road Christians, Jews, and Blacks, etc..had to travel at some point in their history. As a person who really hopes for peace I will tell you one thing that anyone who has a sound knowledge of history will verify, unlike all those other groups mentioned Muslims are the all time giants of sleeping giants. PLEASE just let them rest or you all will get just what you’re looking for and I can assure you, you will wish and pray that you had not found it. Islamic Terrorists have carried out more than 1,773 DEADLY Terror Attacks since 9/11/01. I think they are awake. As a person who really hopes for peace I will tell you one thing that anyone who has a sound knowledge of history will verify, unlike all those other groups mentioned Muslims are the all time giants of sleeping giants. To be non-Muslim, and to hope for peace in the presence of massive Muslim immigration and colonization of the West, is to set one’s eyes on VANITY. If you truly hope for peace, you can have it on Muslim terms without expending any of your effort, treasure or blood. Submit and have done with it. Study no more of Western texts. Know no more of the Western corpus. Wear white, turban to cloak, instead of the business suit. And above all, be ashamed of your Western heritage and profess complete ignorance of it. Nurse such ignorance wherever you can. And you didn’t have to pay anything for it. PLEASE just let them rest or you all will get just what you’re looking for and I can assure you, you will wish and pray that you had not found it. Charles Martel did not let them rest. Jan Sobieski did not let them rest. The 800 massacred at Otranto did not let them rest. The hundred thousand slaughtered at Famagusta, 1570, did not let them rest. The defenders of Constantinople did not let them rest. John Adams and Thomas Jefferson did not let them rest. Winston Churchill did not let them rest. Lord Kitchener did not let them rest. The blood of the Armenians and Greeks slaughtered almost 100 years ago will not let ME rest. The blood of Americans and Westerners spilt in the 20th & 21st centuries will not let ME rest. I seek no peace because I believe my civilization is worth fighting for, and I have a natural right to defend it. So assume your natural right, or get the hell out of the way. WOW!! Thank you eib for saying what I feel, but much more eloquently than I am able! In the West, history is done by way of critical method. In the West, we create “representative men” as exemplars of principles and dynamics. In the Orient, in Islam, you do not apply critical method, and you engage in identification with the past and hero worship. You will identify yourself by way of Mohammed. You will seek no more understanding than that. A coward can submit a thousand times. A dignified individual can die only once. I was burn in the Lord Christ. I will die in the Lord Christ. funny. I was born of course. Makes the Muslims’ heads explode. Unlike you we will take a stand for life as we know it. Why are you a afraid to stand up for your future generations?